The Gulf Coast Rays picked up back to back wins against the Gulf Coast Orioles by defeating them 6-4 on Saturday afternoon on the backfields of Charlotte Sports Park. The Rays held off a late rally by the Orioles to take the victory. The Rays took the lead in the first inning. 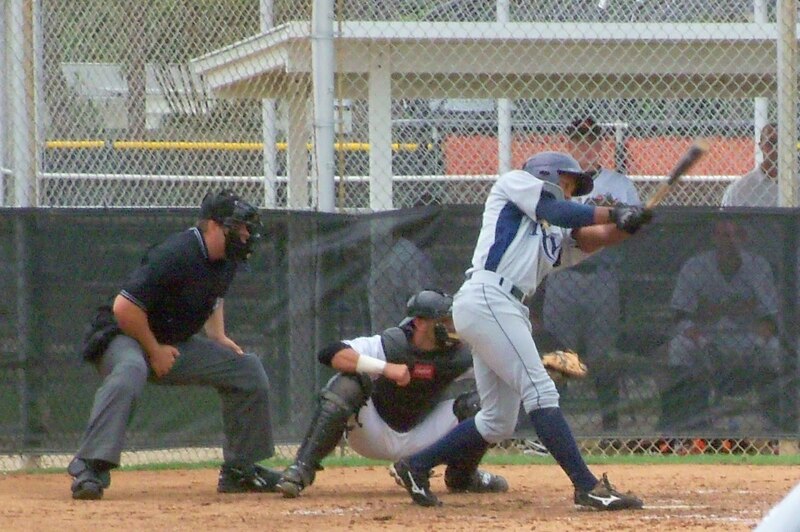 Edward Dorville singled to right followed by a double by Joel Caminero to put two runners in scoring position. Justin O'Conner drove home the first run with a ground out to short. Then Ryan McCrann drove home the second run on a fielder's choice to give them a 2-0 lead. The Rays added another run in the second inning. Juniel Querecuto drew a walk then scored on a triple by Dorville to increase the score to 3-0. The Rays offense continued to roll, pushing across yet another run in the third. McCrann singled to left then advanced to third on two wild pitches. Julian Morillo drove home McCrann with a ground ball to first to give the Rays a 4-0 lead. Wild pitching and errors in the sixth helped the Rays push more runner across the plate. Morillo reached base on a single to center, then moved to second on a wild pitch and third on an errant throw. Querecuto then drew a walk to put runners on the corners. Another passed ball allowed Morillo to score and move Querecuto to second. Dorville moved the runner closer to home with a ground out to second. Then Querecuto scored on a passed ball to increase the lead to 6-0. The Orioles reached the scoreboard in the eighth inning as the Rays had difficulty finding the strikezone. Marcus Jones led off the inning with a walk then advanced to third on a wild pitch and a passed ball. Then Anyi Tejada drew a walk and Martin Serrata was hit by a pitch to load the bases. Dudley Leonora drove home three runs with a triple to center. Leonora would then score on a ground ball by Johnathan Schoop. But the Rays got the final two outs to end the inning and earn the win 6-4. Matt Swiley pitched 3 shut-out innings allowing 2 hits with 2 strikeouts and 5 walks. Pedro Silvestre was the winning pitcher, pitching 4 innings and allowing no run son 4 hits with a strikeout and a walk. Genero Galan struggled in the eighth, responsible for 3 runs and walking two without surrendering a hit or recording an out. Peter Woodworth pitched an inning and allowed a run on 1 hit. Ryan Fleckenstein recorded his second save with a shut-out ninth, allowing a hit and a walk. The Rays are off on Sunday then return to action at home on Monday against the Gulf Coast Twins.